Theseare following interesting facts about the Gulf of Mexico. The Gulf of Mexico is an ocean basin largely surrounded by the North American continent. It is bounded on the northeast, north, and northwest by the Gulf Coast of the United States, on the southwest and south by Mexico, and on the southeast by Cuba. Let’s check the list below to know more facts about it. 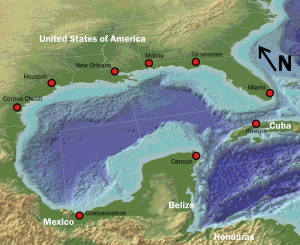 Before the Late Triassic, the area now occupied by the Gulf of Mexico consisted of dry land, which included continental crust that now underlies Yucatan, within the middle of the large supercontinent of Pangea. Geologists and other Earth scientists agree in general that the present Gulf of Mexico basin originated in Late Triassic time as the result of rifting within Pangea. In 1497, Amerigo Vespuci became the first European who explored the Gulf Mexico. In his letters, Vespucci described this trip, and once Juan de la Cosa returned to Spain, a famous world map, depicting Cuba as an island, was produced. The Gulf’s southwestern and southern shores lie along the Mexican states of Tamaulipas, Veracruz, Tabasco, Campeche, Yucatán, and the northernmost tip of Quintana Roo. While the Gulf of Mexico’s eastern, northern, and northwestern shores lie along the US states of Florida, Alabama, Mississippi, Louisiana, and Texas. 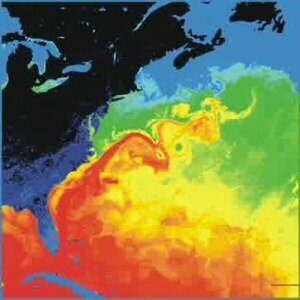 There are various biota live in the Gulf of Mexico such as cbacteria, microbenthos, rabs, sea pens, crinoids, and demersal fish, cetaceans, finfish, shrimp, shellfish and so forth. The Gulf of Mexico is considered aseismic; however, mild tremors have been recorded throughout history (usually 5.0 or less on the Richter scale). Earthquakes may be caused by interactions between sediment loading on the sea floor and adjustment by the crust. 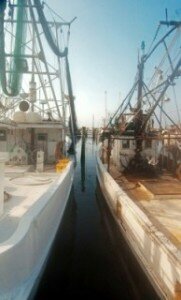 The Gulf of Mexico supports major American, Mexican and Cuban fishing industries. Its euphotic zone contains plankton which attracts fish, shrimp and squid. The second largest oil spill in the Gulf of Mexico happened in June 1979. The Ixtoc I oil platform in the Bay of Campeche suffered a blowout leading to a catastrophic explosion, which resulted in a massive oil spill that continued for nine months before the well was finally capped. 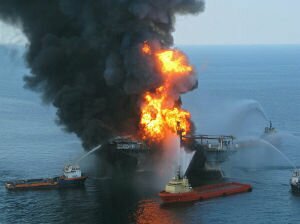 On April 20, 2010, the Deepwater Horizon oil platform suffered a catastrophic explosion; it sank a day-and-a-half later. On April 29, the U.S. government revealed that approximately 5,000 barrels (790 m3) per day, five times the original estimate, were pouring into the Gulf from the wellhead. On July 15, 2010, BP announced that the leak stopped for the first time in 88 days. 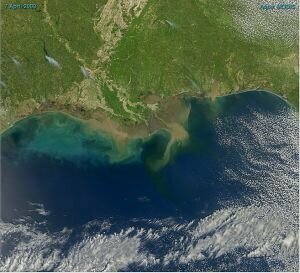 Perhaps, those interesting facts about the Gulf of Mexico can give you additional information.